The club held its 123rd annual general meeting on 24th November 2016. The club president and all the main office bearers were re-elected. Here is a list of all the prize winners. The club entered two teams into the Ethekwini Chess League, which was held from 18th September to 20th November 2016. The League was divided into two sections. The top 8 teams played a round robin in the A section, which was a success for the top seeds, Umhlanga Chess Club (rated 1878 on average), who won 6 and drew 1 of their matches. In second place was Durban Chess Club (1701 average), who beat the second seeds from Glenwood Chess Club (1876 average) in round 3. Glenwood took 3rd and 4th places in the A section. Teams consisted of 6 players and Durban Chess Club won prizes on boards 2, 3 and 4 - congratulations to Cailin Chetty, Henry Oliver and Desmond Rooplal. I was playing board 1 for Durban and came within an inch of the gold medal, losing on time when a piece up against Joseph Mwale, who was playing for Umhlanga. The B section of the League was played as a Team Swiss event. Initially 13 teams entered, which meant there had to be a bye. Surprisingly, this was given to our B team (the second seeds) in the first round! There were an astonishing number of defaults, particularly by the student teams. In the end, Glenwood Chess Club C team were the winners, followed by Durban Chess Club's B team. Here are the results of section A and the results of section B. The Third Swiss (6 rounds) started on 6th October and was won by Henry Oliver. Here are the final results. The new Disney movie "Queen of Katwe" has been showing at Ster Kinekor Musgrave and Gateway. The movie is based upon the true story of Phiona Mutesi, a young female chess player from the slums of Katwe in Uganda. Durban Chess Club, together with Durban Metro Chess Academy, took 80 children from the schools that are part of DMCA's INK (Inanda, Ntuzuma, Kwa-Mashu) chess outreach program, to see Queen of Katwe on Thursday morning (27th October) at Ster Kinekor Musgrave. For more details on the movie, see the report on my KZN news blog. The Mhlongo Memorial blitz was run this year as a 7 round Swiss. Henry Oliver was the winner with 6 points, followed by Keith Rust and Desmond Rooplal. Here are the full results. The club's annual John Blackburn Memorial swiss finished on 22nd September. In a surprising last round, both Cyril Danisa and Keith Rust lost after blundering a Rook. Here are the final results after round 7. Craig's last move was 26.Qg4-h4 and the game continued with 26...Rg6 27.Rxe3! Rbg8 28.g3! exploiting the pin on f4 and the discovered check from b2. White won in a few more moves. 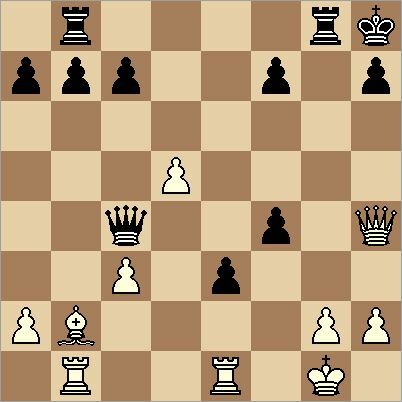 Solly looked at 26...Rxg2+ and saw that Black cannot win the Queen with 26...Rxg2+ 27.Kxg2 f3+ because of 28.Kh3, but thought that 27.Kh1 was a defence, since 27...Qxd5 28.c4+ loses his Queen. Afterwards we analysed 26...Rxg2+ and found that 27.Kh1 Qe4 or 27.Kxg2 Qe4+ wins in all variations. So Craig should have played 26.Qg4-f3 to keep the extra material. The July rapid swiss was poorly attended. Keith Rust was the winner with 6½ points, followed by Desmond Rooplal with 6 points. Here are the full results. The annual club championships began on 7th April. All the sections were played over 7 rounds up to 26th May, with postponed games completed in June. Defending champion Joseph Mwale retained his title, finishing ½ point ahead of Keith Rust. Here are the section A results. The difference proved to be Joseph's win in the first round against Desmond Rooplal, who only lost one game. The Knight sacrifice on f7 caused some fiery complications, here is the game with some brief notes. Section B was won by Lloyd Chetty, who started the event as the lowest rated player! 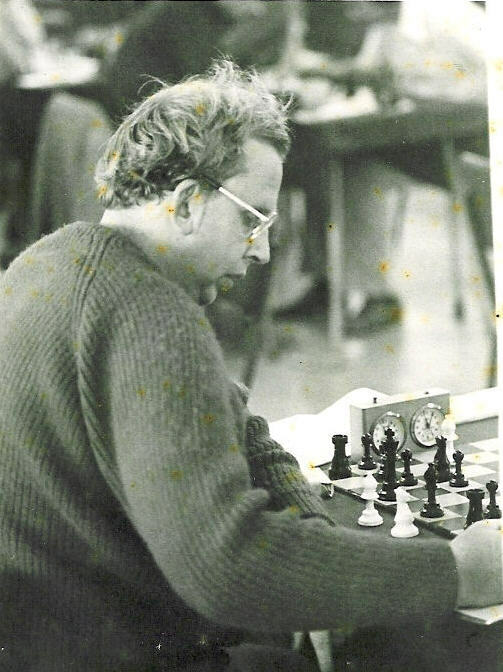 Lloyd scored 5½ points from 7 games, with veteran Paul Curry in 2nd place on 4½ points, after an unexpected loss in the last round to Nadean Gopaulsingh. Here are the final results of section B. In section C Hemant Nowbath was a deserving winner of the Ray Pietersen memorial cup. Here are the final results of section C.
This tournament was held over the Workers Day long weekend, 30th April to 2nd May 2016. Here are the final results and youth results. Here is a more detailed report with some annotated games and photos. Joseph Mwale won all his games in this event. Here are the results for section A, section B and the KO finals. My KZN news blog reaches 100 reports! I have just finished my 100th report for my KZN news blog, with a photo report on the Uthungulu birthday celebrations. The cakes were delicious! This tournament started on 14th January 2016. Joseph Mwale quickly took an unshakeable lead and finished 1st, with Keith Rust and Sayen Naidu sharing 2nd place. Here are the final results after round 8. 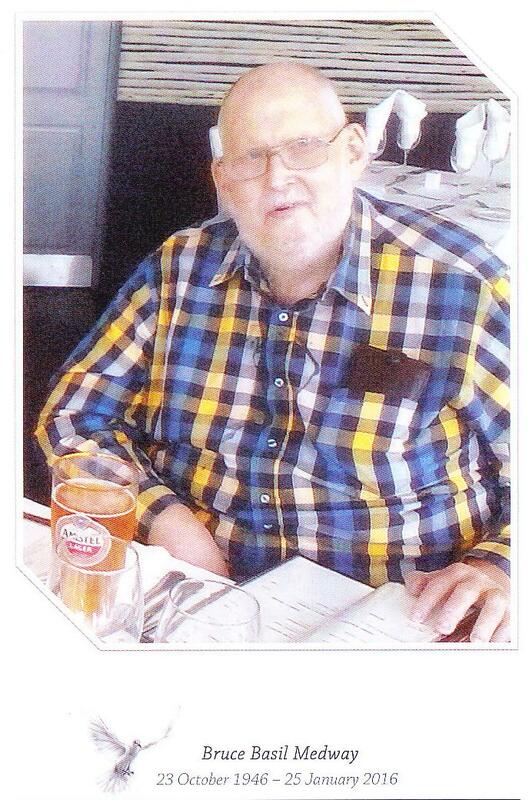 I report with sadness that Bruce Medway, a member of the club since 1966, passed away on 25th January 2016. A memorial service was held for him on 2nd February at Caister Lodge in Musgrave Road, where he was resident in recent years. The second installment of Blackburn games from 1973 onwards is now completed. The following file contains Blackburn games from 1953 to 2009 (994 games/results). A number of games from the 1950's and also some games from 1991 to 1995 were unable to be found. Scores of any missing games would be much appreciated. If you played against John, please check that I have the game score captured correctly!